Hiking along the Middle Emerald Pools Trail in Zion National Park treats you to views of waterfalls, sparkling pools and a marvelous display of some beautiful red rock monoliths. Falling cascades and lovely hanging gardens await you on the Middle Emerald Pools Trail in Zion National Park. 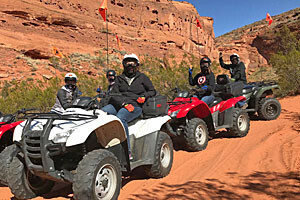 Climbing the ridge takes you past views of Zion Canyon, the famous red rock formations, Red Arch Mountain and many more. Look down at the Virgin River. A whole network of trails is here for your enjoyment. The Katenta Trail is another you can take. On the Lower Emerald Pool Trail you’ll pass through a forest of oak and cottonwood, then move into drier habitat as you continue on. 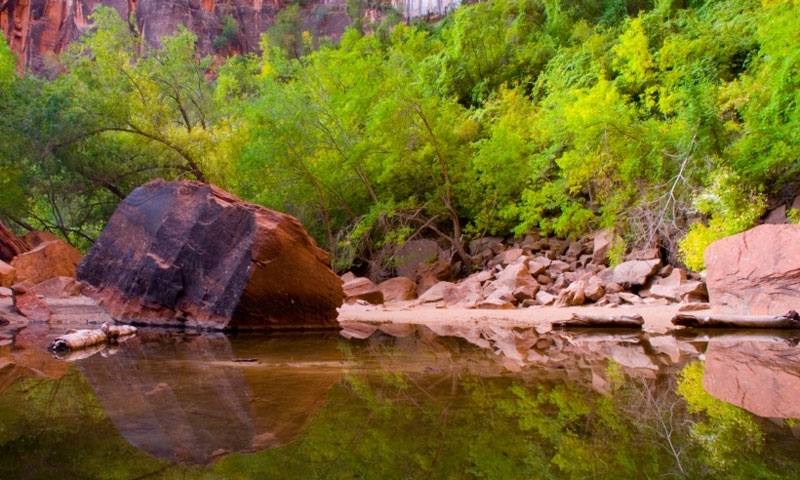 The Emerald Pools provide a quiet and relaxing place to experience the natural environment of Zion. 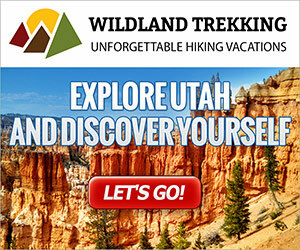 The trailhead is four miles north of the southern entrance to Zion National Park. You can park in the Emerald Pools parking area across from Zion Lodge. From May to October, you will only be able to take the park shuttle to the trailhead. Hike the Middle Emerald Pools Trail in the summer. It will be hot, however, so you should be sure to bring plenty of water with you. Another good time to hike here is in the autumn months while the fall colors are in full display. Never stand on the edges of the cliffs when hiking, and keep an eye on the kids. The edges are often unstable, are slippery and can crumble. You’ll find full services at the Zion Lodge, right across the road from the trailhead. There are restrooms, snack bar and restaurant.